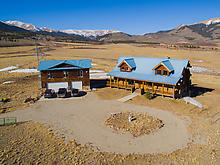 Exceptional property offered for the first time in the Rocky Mountains of Colorado! 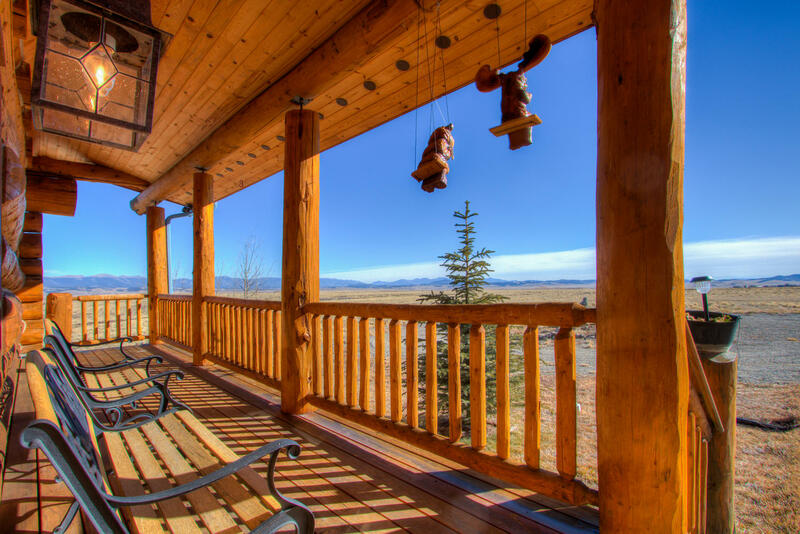 Private 225-acre Dreamcatcher Ranch is a custom-built, handscraped log home with unobstructed, panoramic mountain views, main level living, open floorplan with vaults and mountain views from every room! Guest house over garage offers space for guests or caretaker. Radiant in-floor heat keeps this substantial home cozy. Main level owners suite with 2-way fireplace, double walk-in closets, 5-piece bath and patio. This home basks in sun and has a generator. 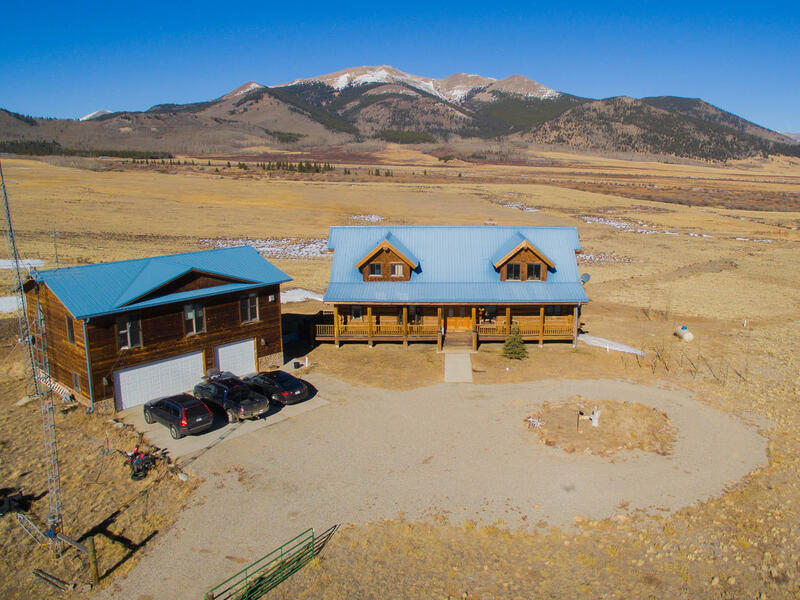 Walkout lower level includes billiards room, wine/cigar humidour, movie theatre & woodburning fireplace as well as a bonus room with rough-in wetbar(water hookup). 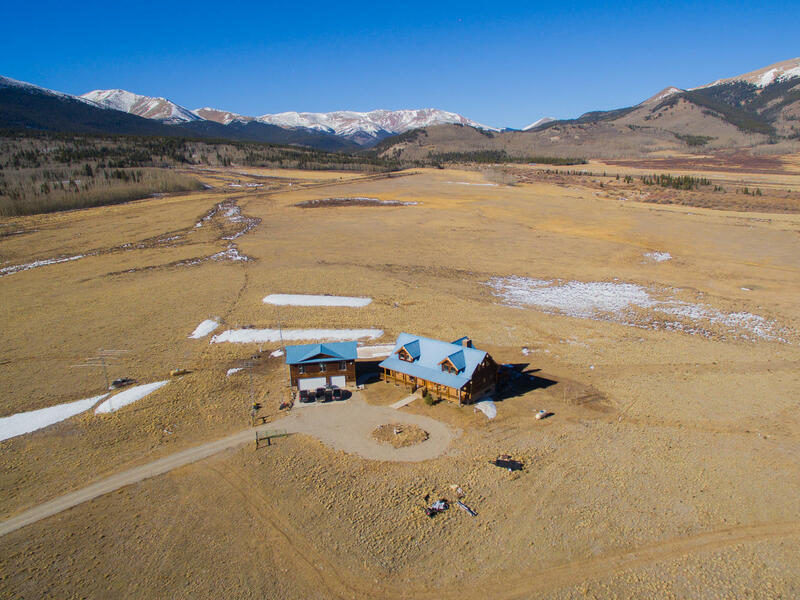 Acreage includes a wetland conservation easement.